The Terms and Conditions govern your use of this Website and the Service; by using this Website and/or the Service, you accept the Terms and Conditions in full. If you disagree with the Terms and Conditions, or any part of the Terms and Conditions, you must not use this Website or the Service. You must be at least eighteen (18) years of age to use this Website and/or the Service. By using this Website and/or the Service (and by agreeing to the Terms and Conditions) you warrant and represent that you are at least eighteen (18) years of age. Description of Service. 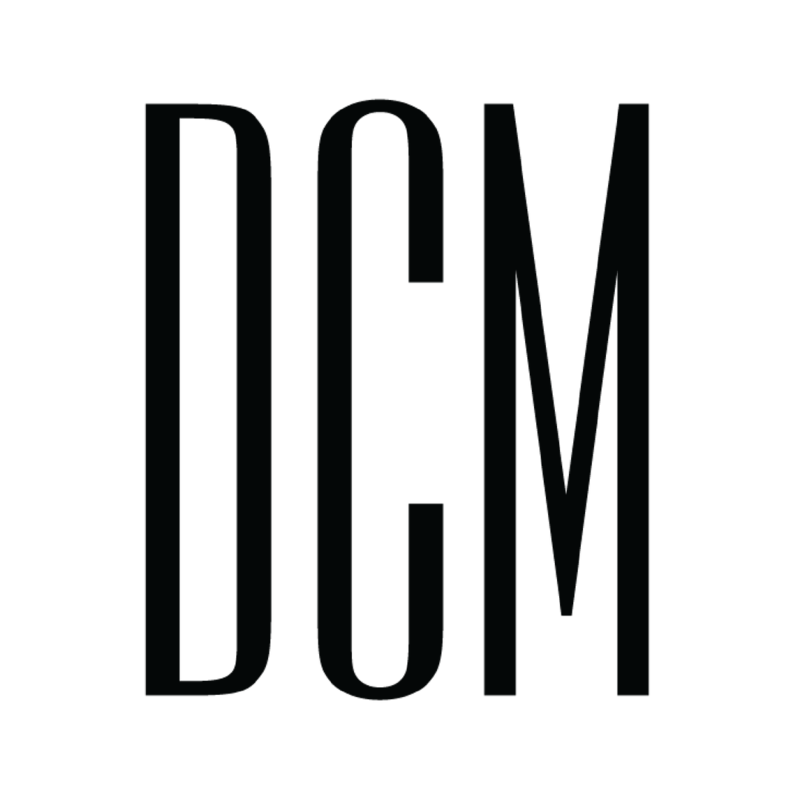 dcmcommunications.com is the website created, owned, and maintained by DCM. Through the Website, DCM offers various branding and marketing videos and materials, MasterClass tutorials, and webinars (collectively the “Content”). Through the Website, you will have the ability to register for and purchase licenses to access the Content. Purchases. If you wish to purchase any product or service made available through the Website (“Purchase”), you will be asked to supply certain information relevant to your Purchase including your credit card number, the expiration date of your credit card, your billing address, and your shipping information. You represent and warrant that: (i) you have the legal right to use any credit card(s) or other payment method(s) in connection with any Purchase; and that (ii) the information you supply to us is true, correct and complete. You expressly agree that DCM is not responsible for any loss or damage arising from the submission of false or inaccurate information. We reserve the right to refuse or cancel your order at any time for certain reasons including but not limited to: product or service availability, errors in the description or price of the product or service, error in your order or other reasons. You expressly agree that DCM cannot accept any liability for loss or damage arising out of such cancellation. Content Protected by Intellectual Property Rights. All Content and any other content available through the Service, other works of authorship, trademarks, service marks, and logos are protected by the intellectual property rights of DCM and/or its licensors. Limited License in Content. Unless otherwise stated, DCM and/or its licensors own the intellectual property rights in the Website and all material on the Website, including without limitation the Content offered on the Website and DCM accounts on third party hosting platforms paid and maintained by DCM, including but not limited to Kartra, MailChimp, and ManyChats. Subject to the license below, all of the intellectual property rights are reserved. Content purchased through the Website may be viewed only by you. You must not republish material from the Website or Content (including without limitation republication on another website); share the URL provided in connection with any Content, your user name, or password with anyone else; sell, rent or sublicense material from the Website or Content; show any material from the Website or Content in public; reproduce, duplicate, copy or otherwise exploit material on the Website or Content for a commercial purpose; edit or otherwise modify any material on the Website or Content; or redistribute material from the Website or Content (except for content specifically and expressly made available for redistribution). DCM may collect and use the following types of personal information: information about your use of the Website and Content; information that you provide using for the purpose of registering with the Website or DCM-maintained accounts on third party hosting platforms; information about transactions carried out over the Website or DCM-maintained accounts on third party hosting platforms; information that you provide for the purpose of subscribing to the Services; and any other information that you send to DCM. DCM may use your personal information to: administer the Website; personalize the Website for you; enable your access to and use of the Services and Content; send to you products that you purchase; supply to you services that you purchase; send to you statements and invoices; collect payments from you; and send you marketing communications. If and where DCM discloses your personal information to its agents or sub-contractors for these purposes, the agent or sub-contractor in question will be obligated to use that personal information in accordance with the terms of this privacy statement. In addition to the disclosures reasonably necessary for the purposes identified herein, DCM may disclose your personal information to the extent required to do so by law, in connection with any legal proceedings, or prospective legal proceedings, and in order to establish, exercise or defend DCM’s legal rights. DCM will take reasonable technical and organizational precautions to prevent the loss, misuse, or alteration of your personal information in accordance with U.S. law and GDPR requirements. Your transactions and other dealings with third party merchants and/or advertisers that are found on or through DCM’s Website, including payment and delivery of related goods or services, are solely between you and such merchant or advertiser unless the third party account is created and maintained by DCM as noted above. You agree to hold DCM and its subsidiaries, affiliates, officers, directors, employees, agents, attorneys, and suppliers, and each of their respective successors and assignees (collectively, the “Indemnified Persons”), harmless from, and indemnify them for, all damages, costs, expenses and other liabilities, including reasonable attorneys’ fees and expenses, relating to any claim arising out of or related to: (i) your access to and use of the Website, Content, and any other content available on the Website; (ii) your violation of these Terms and Conditions, and any applicable law or the rights of another person or party; and (iii) any dispute you have with any merchant or advertising found on or through the service. Disclaimer of Warranties. TO THE FULLEST EXTENT PERMITTED BY APPLICABLE LAW, EXCEPT AS MAY BE OTHERWISE EXPRESSLY SET FORTH IN THIS AGREEMENT, ANY PRODUCTS OR SERVICES PROVIDED BY CONTRACTOR HEREUNDER ARE PROVIDED “AS IS” WITHOUT ANY WARRANTY OF ANY KIND, AND NO OTHER WARRANTIES, WHETHER EXPRESS, IMPLIED, OR OTHERWISE, ARE MADE WITH RESPECT TO THE SAME, INCLUDING ANY IMPLIED WARRANTIES OF MERCHANTABILITY OR FITNESS FOR A PARTICULAR PURPOSE, ANY WARRANTIES REGARDING TITLE OR AGAINST INFRINGEMENT, OR ANY WARRANTIES THAT MAY ARISE FROM USAGE OF TRADE OR COURSE OF DEALING. FURTHER, CONTRACTOR DOES NOT WARRANT, GUARANTY, OR MAKE ANY REPRESENTATIONS REGARDING THE RESULTS OF THE USE, OF THE SERVICES, OR REGARDING ACHIEVEMENT OF ANY SPECIFIC GOAL UPON WHICH CONTRACTOR CONSULTS OR PERFORMS SERVICES PURSUANT TO THIS AGREEMENT. CONTRACTOR EXPRESSLY DISCLAIMS ANY WARRANTIES NOT EXPRESSLY STATED HEREIN (IF ANY). NOTWITHSTANDING ANYTHING TO THE CONTRARY IN THIS AGREEMENT OR UNDER APPLICABLE LAW, IN ANY ARBITRATION, LITIGATION, LEGAL ACTION, OR PROCEEDING BETWEEN THE PARTIES ARISING FROM OR RELATING TO THIS AGREEMENT, THE PARTIES UNCONDITIONALLY AND IRREVOCABLY WAIVE AND DISCLAIM TO THE FULLEST EXTENT PERMITTED UNDER APPLICABLE LAW ALL RIGHTS TO ANY INDIRECT, INCIDENTAL, PUNITIVE, EXEMPLARY, SPECIAL, STATUTORY, OR CONSEQUENTIAL DAMAGES, LOST PROFITS, LOST REVENUE, LOSS OF DATA, LOSS OF PRIVACY, LOSS OF GOODWILL OR ANY OTHER LOSSES, EVEN IF ADVISED OF THE POSSIBILITY OF SUCH DAMAGES AND EVEN IN THE EVENT OF FAULT, TORT (INCLUDING NEGLIGENCE), OR STRICT OR PRODUCT LIABILITY, AND ACKNOWLEDGE AND AGREE THAT THE RIGHTS AND REMEDIES IN THIS AGREEMENT, AND ALL OTHER RIGHTS AND REMEDIES AT LAW AND IN EQUITY, WILL BE ADEQUATE IN ALL CIRCUMSTANCES FOR ANY CLAIMS THE PARTIES MIGHT HAVE WITH RESPECT THERETO. CLIENT AGREES THAT IN THE EVENT OF ANY CLAIM BY CLIENT AGAINST CONTRACTOR UNDER THIS AGREEMENT, CONTRACTOR’S LIABILITY FOR OR WITH RESPECT TO THE SERVICES SHALL NOT EXCEED AN AMOUNT EQUAL TO THE COMPENSATION PAID, WHETHER IN FULL OR PARTIAL, BY CLIENT TO CONTRACTOR UNDER THIS AGREEMENT. To the maximum extent permitted by law, none of the Indemnified Persons are liable to you or any other person for indirect, incidental, punitive, exemplary, special, statutory, or consequential damages, lost profits, lost revenue, loss of data, loss of privacy, loss of goodwill or any other losses, even if advised of the possibility of such damages and even in the event of fault, tort (including negligence), or strict or product liability. Without limiting the foregoing, in no event will the aggregate liability to you of the Indemnified Persons exceed, in total, the amounts paid by you to DCM. DCM will provide all notices by posting them on the Website, except as otherwise set forth in the Terms and Conditions. Notice of any material change to the Terms and Conditions will be posted on the Website for at least thirty (30) days, therefore it is your responsibility to review the Website and these Terms and Conditions periodically. You also authorize DCM to send notices (including notice of subpoenas or other legal process, if any) via electronic mail to the email address that we have on record for you. You must check the Website for notices, and you will be considered to have received a notice when it is made available to you by posting on the Website or when sent by DCM via electronic mail, whether or not received by you. DCM may provide notice to any email or other address that you provide to us. You must keep your address current and any notice sent by DCM to the address that you have most recently provided is effective notice. With the exception of notices related to removal of licensed material and to copyright infringement, you must send us any notice by mailing it to our address for Legal Notices which is: DCM Communications LLC, 415 W. Bell Avenue, Chattanooga, TN 37405. Indemnification Except to the extent paid in settlement from any applicable insurance policies, and to the extent permitted by applicable law, each Party agrees to indemnify and hold harmless the other Party, and its respective directors, stockholders, affiliates, officers, agents, employees, and permitted successors and assigns against any and all claims, losses, damages, liabilities, penalties, punitive damages, expenses, reasonable legal fees and costs of any kind or amount whatsoever, which result from or arise out of any act or omission of the indemnifying party, its respective directors, stockholders, affiliates, officers, agents, and employees arising out of its failure to perform any of its obligations or a breach of its representations and warranties under this Agreement. This indemnification will survive the termination of this Agreement. Dispute Resolution In the event a dispute arises out of or in connection with this Agreement, the Parties will attempt to resolve the dispute through friendly consultation. If the dispute is not resolved within a thirty (30) days of receipt of notification of such a dispute, then any or all outstanding issues may be submitted to mediation in accordance with any statutory rules of mediation. If mediation is unavailable or is not successful in resolving the entire dispute within thirty (30) days of a Party’s request for mediation, any outstanding issues will be submitted to final and binding arbitration held in Chattanooga, Tennessee in accordance with the Commercial Arbitration Rules of the American Arbitration Association then in effect (the “Rules”); provided, however, that the Parties may seek injunctive relief in any court of competent jurisdiction. Arbitration shall be by a single arbitrator, for any claim not exceeding $500,000, and by a panel of three arbitrators for claims in which the amount at issue is a higher amount. Arbitrators shall be chosen by the Parties, provided that, if the Parties fail to appoint the arbitrator(s) within thirty (30) calendar days from the date a Party has made a demand for arbitration, then the arbitrator(s) shall be chosen in accordance with the Rules. The decision of the arbitrator(s) shall be final and binding on the Parties and any award of the arbitrator(s) may be entered into any court of competent jurisdiction. Governing Law/Venue/Attorneys’ Fees It is the intention of the Parties to this Agreement that this Agreement and the performance under this Agreement, and all suits and special proceedings under this Agreement, be construed in accordance with and governed, to the exclusion of the law of any other forum, by the laws of the Tennessee, without regard to the jurisdiction in which any action or special proceeding may be instituted. The Parties hereby submit to the exclusive personal jurisdiction and venue of the state and federal courts located within Hamilton County, Tennessee. In the event either Party brings an action in any forum based upon this Agreement, the prevailing Party shall be entitled to recover its reasonable attorneys’ fees. By accepting the terms of this Agreement, the Client agrees and understands that DCM provides marketing consulting and coaching only and guarantees no specific results. The Client takes full responsibility for its own success. Further, the Client hereby acknowledges that everyone’s success is different, and dependent on factors such as your own drive, dedication, and motivation. Any examples of specific business achievements or testimonials are not meant as a promise or guarantee of your own earnings or success. All of your transactions with or through the Service may, at our option, be conducted electronically from start to finish. If DCM decides to proceed non-electronically, the services will still be governed by the remainder of the Terms and Conditions, unless you enter into different terms on a document provided by DCM. The Terms and Conditions do not create any agency, partnership, joint venture, employee-employer, or franchisor-franchisee relationship. Except for the Indemnified Persons, there are no third party beneficiaries of these Terms and Conditions. If any part of the Terms and Conditions is held by a court of competent jurisdiction to be invalid or unenforceable, the invalid or unenforceable part will be given effect to the greatest extent possible and the remainder will remain in full effect. These Terms and Conditions are personal to you and you may not transfer, assign or delegate them to anyone without the express written permission of DCM. Any attempt by you to assign, transfer or delegate these Terms and Conditions without the express written permission of DCM will be null and void. DCM has the right to transfer, assign, and delegate these Terms and Conditions to one or more third parties without your permission. These Terms and Conditions and all performances and claims of every nature between us are governed by the laws of the State of Tennessee, without regard to any conflicts of law principles that would result in the application of the law of a different jurisdiction. You submit to the exclusive personal jurisdiction and venue of the state and federal courts located within Hamilton County, Tennessee. Any action concerning a dispute with respect to the Service must be commenced within one (1) year after the cause of the dispute arises, or the cause of action is barred. The paragraph headings in these Terms and Conditions are included to help make the Terms and Conditions easier to read and have no binding effect. As used in the Terms and Conditions, the words “include” and “including” are meant to be illustrative and not exhaustive. The Terms and Conditions (including any terms incorporated into them), any policies and guidelines posted to the Website by DCM, and any written agreement that may be entered between you and DCM (if applicable), comprise the entire agreement (collectively the “Entire Agreement”) between you and DCM with respect to the use of the Service and supersede all contemporaneous and prior agreements between the parties regarding the subject matter contained herein, and neither party has relied on any representations made by the other that are not expressly set forth in the Entire Agreement.